Join our FaceBook Group! 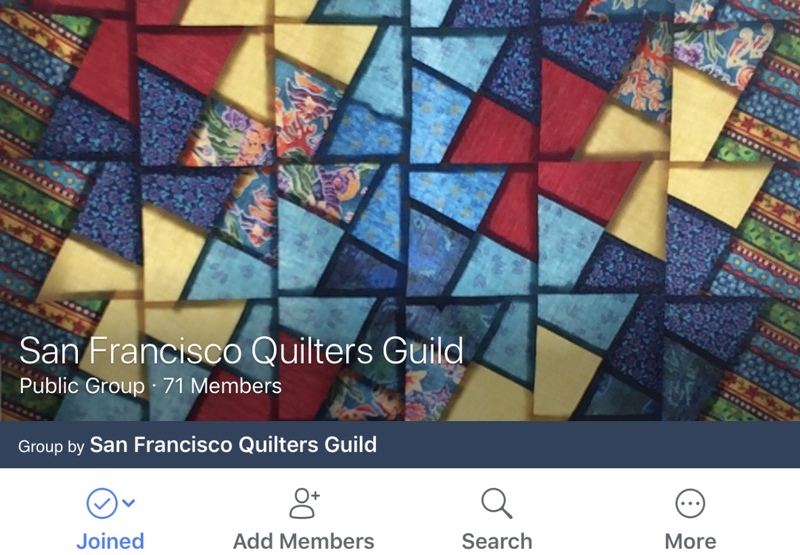 It’s a great way to share quilty news, photos, comments and questions, and to spark online conversation among guild members. You can also help boost the guild’s onlne visibility by tagging your posts on Instagram, Twitter and other social-media platforms with our hashtag, #sfqg. You can find the group at this link. Click “Join Group” and you’ll get an alert once your member status is verified, and then you’re good to go. While our FaceBook Group is only for guild members, anyone can keep up-to-date with guild events by following our public SFQG FaceBook page. Here’s the link. To learn more about our guidelines for FaceBook participation, please read this PDF.